Aww, congratulations! I have to say, your story was very hard for me to read. I have had 5 healthy babies with great, all natural births, and am expecting my 6th, but oh! The fear I struggle with every. Single. Time. It’s just like you described, hitting me at night time, while those prodromal labor contractions do their (non) work, and it is HARD! I guess reading about your experience triggered those emotions again, because I’m crying for no reason, lol! I’m sorry those last days were so hard for you, but happy that your baby is here, healthy and sound! Wow! You are hilarious and amazing! I got near the end of the story and was like she has on earrings. She has this together. You look the most put together and with it laboring women whose photos I have ever seen. Congratulations on another beautiful son! Wow! What a great story! Isn’t it true – there is nothing like baby coming out and no food tastes as good as the food you eat right after delivery! Your words describing the final moments before baby comes out made me tear up with memories! Baby in your arms is the best feeling in the world. Meet him at the hospital and he would start an induction. They checked me upon arrival and I was an 8, no need for an induction. I called my husband who asked if he had time to finish his lunch at work before coming. I said you had better come now. I delivered them 3 minutes apart about an hour after arriving at the hospital. No camera, no baby clothes, no car seats. While big brother was at moms day out for the morning. 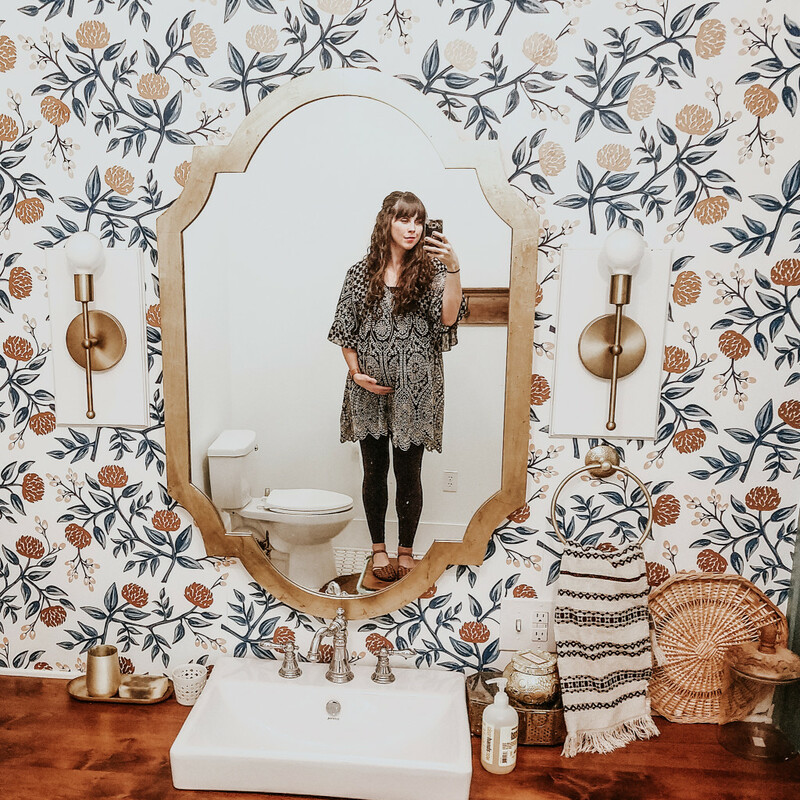 Thank you for sharing your incredible story of sweet Shiloh’s birth! I had completely forgotten (until reading your story) that I had an outfit picked out for myself to wear to the birth center with my first (so funny to me now), right down to the accessories, including a pair of earrings. Of course, as we were rushing around and I was getting myself all ready, an earring flew right down the drain! I think I actually tried to convince my husband to retrieve it! 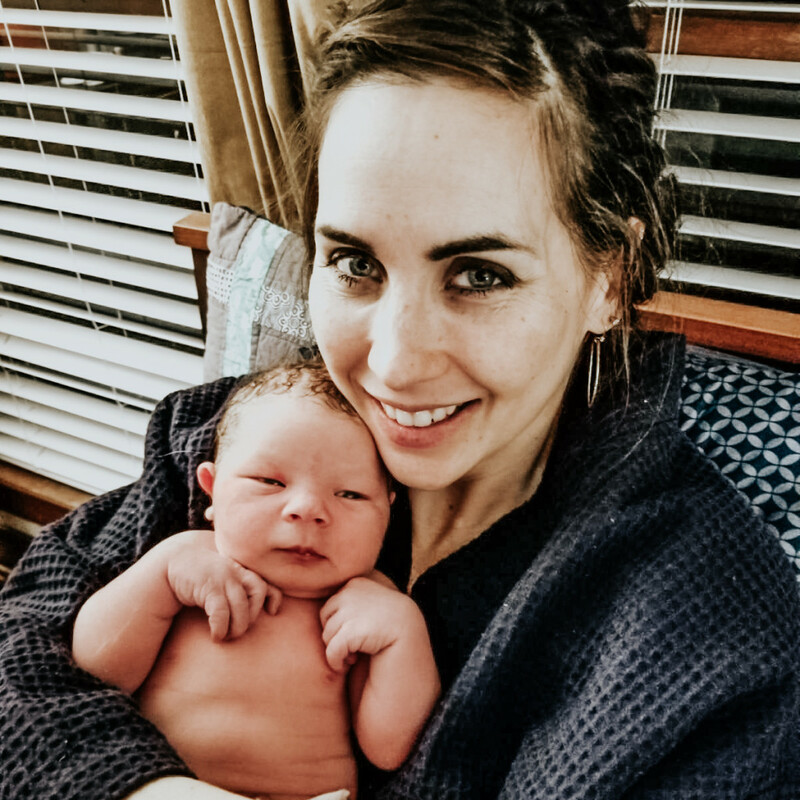 Abbie, I loved this birth story! You are so strong! I had one of my babies in the bathroom because she started crowning while I was in the shower. …It was unexpected, but a great birth! My first home birth, we rented a birth pool so I could have a water birth. I ended up preferring the shower to the pool however, so I stayed there for 8 hours! Luckily, we had a tankless hot water heater, so the hot water never ran out, but I was like a raisin! My awesome midwife just hopped in the shower with me at the end to catch the baby! So I got my water birth, but a little differently than I imagined. I’ve had all my babies in the shower ever since. Haha. Whew, I don’t know if I’ve read a birth story since actually giving birth and experiencing it myself! It’s amazing how just reading another persons story I can so quickly remember all those labor details and that moment of our little guy finally being out and on my chest! 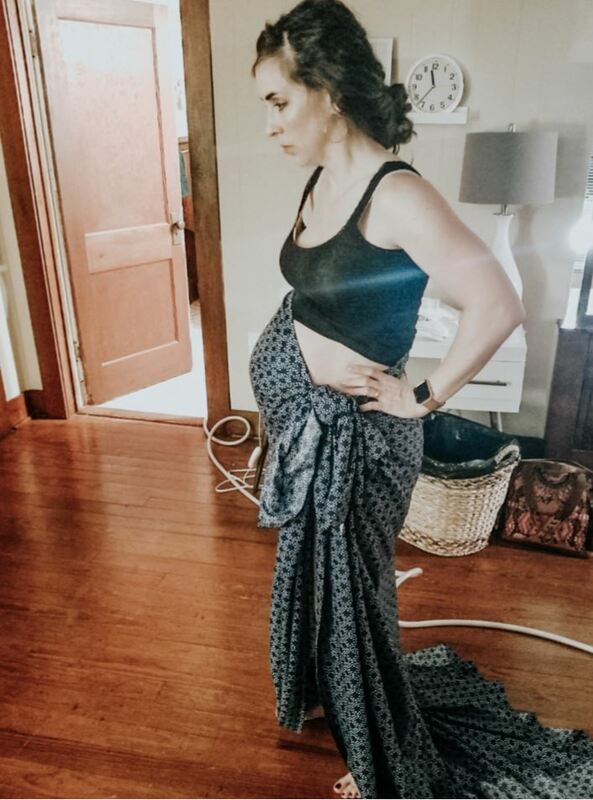 I wore earrings and had preplanned my hair for labor…mostly so it would be out of my way but comfortable to lay down on!